Whether you are renovating your old home to make it compliant with the contemporary home design trends or you are building a brand new home, the windows are one of the primary elements that define your home exterior. Apart from playing a major role in enhancing the home exterior design, the windows also need to be convenient enough in terms of usability in order to provide maximum facilitation to the residents of a home. If we have a look at the types of windows manufactured around the world, we’ll be able to find them in many different styles, each bringing along its own special benefits. AmerAdnan® an award winning interior designer in Lahore recommends using stylish windows for home front whereas simple sliding windows for all those sides of home other than the front. Please read this guide to know about the types of windows you can choose from and how each of them can help you. These are one of the most preferred and convenient kind of windows used at homes. The horizontal sliders open with the sash sliding left or right. They are considered the easiest and fastest to open and close, which makes them the top choice for people all over the world. The horizontal sliders are ideally placed in rooms that face patios, walkways etc. They are found in all contemporary style homes as they offer perfect air circulation within a room. They are available as single-sliders as well as the double-sliders. 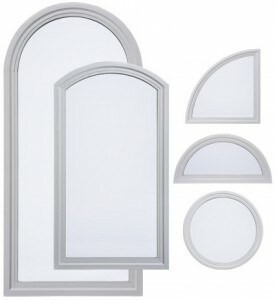 The radius windows also known as the arch windows are rectangular windows with top in the shape of an arch or a half-circle. They help bringing softness to the home interior as well as exterior. 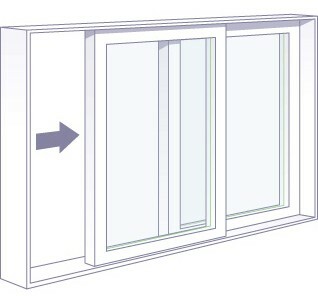 These windows can be operable to let in fresh air or fixed to only let in light. The radius windows are enhanced by adding grids. The grids are bars that divide the glass of each arch window into many smaller portions for adding a decorative effect. At times, each of the smaller panes is painted with a different stain glass color for a striking effect. These are special windows hinged on the top and open outwards. The reason for popularity of awning windows is their ability to ventilate air flawlessly without letting rain in or to allow leaves fall in. 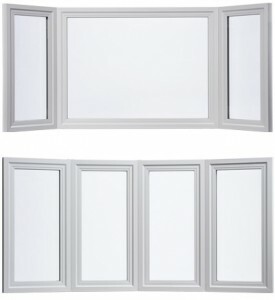 The awning windows are most popular for basement rooms as well as for the washrooms. They are usually smaller in size than double hung, casements or sliders. The bay and bow windows can be found in a number of architectural settings. The dramatic extension of these special windows adds a great deal of architectural accent to a home’s elevation. 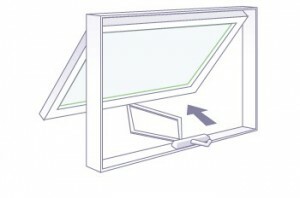 These windows can be flanked with casement to get additional light and ventilation. The bay windows are a blend of three windows of same widths, extending out from your home’s exterior wall. They are also popular because of their ability to bring in more light and to give a spacious feeling to a room they are installed in. To find out about more types of windows such as Jalousie windows, single hung windows, casement windows, double hung windows, picture windows and skylights, you should get in touch with one of the top construction companies in Pakistan such as Amer Adnan Associates.